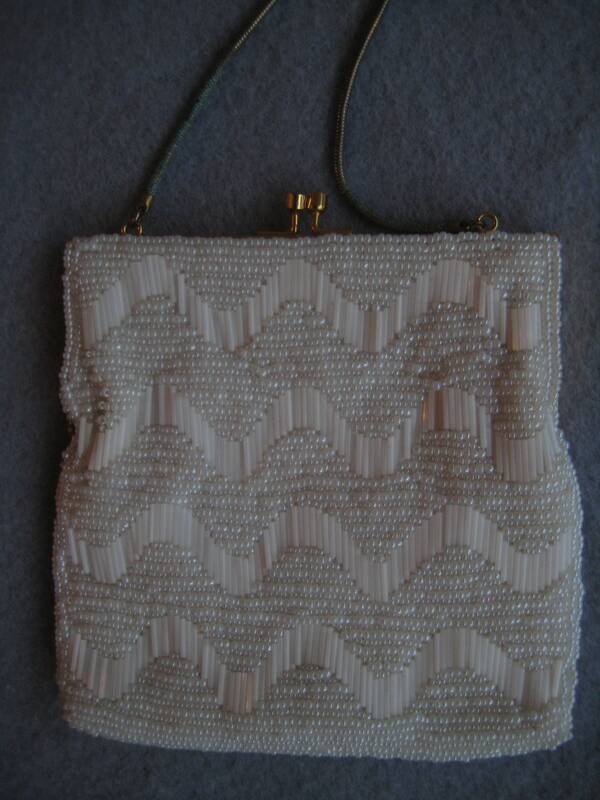 Pretty pretty white beaded evening bag by Walborg. Round and long beads arranged in a sweet wave/scallop design on both sides. Beautifully handed made by Walborg in Hong Kong. Gold tone metal frame and kiss closure. Some patina on the snake chain with a 6 inch drop. 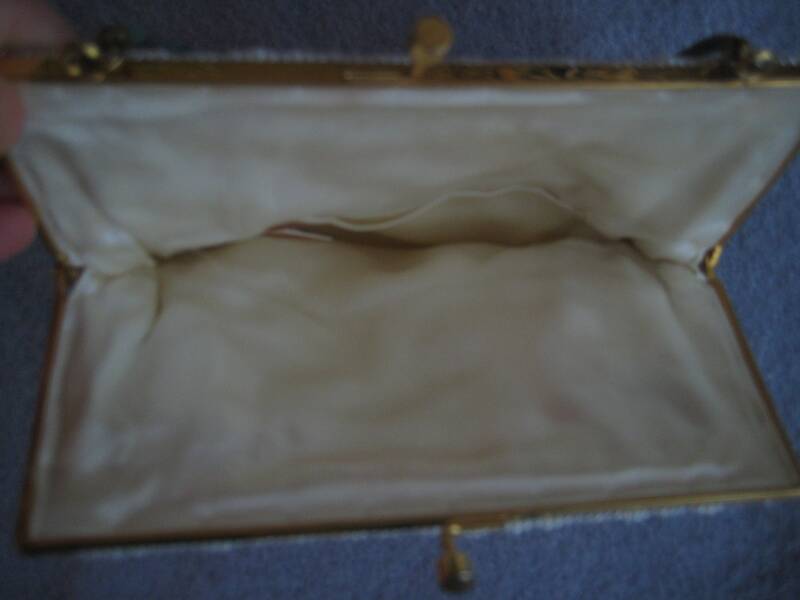 White satin interior with one side patch pocket. 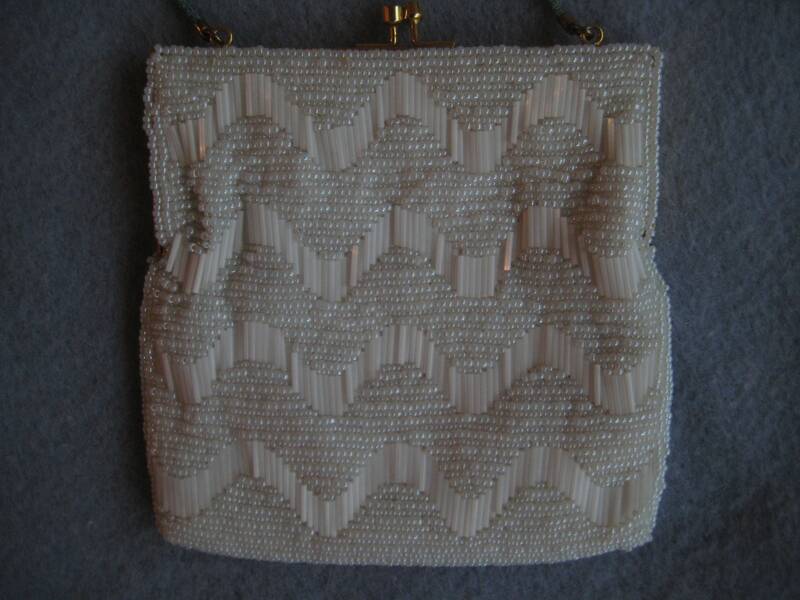 Wonderful bag in wonderful shape! Dimensions: 6 inches long x 6 inches wide.